The modern kitchen of today includes cutting-edge technology, world-class design, and functionality beyond the realms of the traditional kitchens of yesteryear. Almost every homes kitchen is the primary family gathering place and because eating is pretty important; the kitchens of today can be thought of as primary health care facilities too. That’s a fanciful statement of course, however, upgrading your kitchen space can add to your quality of life in a myriad of ways. Functionality (as mentioned already) and efficiency will dramatically improve your life when it comes to food prep. Bringing the entire family together in a fine, comfortable space is conducive to most everything for every family. Having utilities such as lighting and electrical fixtures and fittings will enlighten and enable, allowing for healthier food preparation; good for everyone. Eliminating the little things such as a leaky faucet can have a huge impact in your life. Kitchen renovation has become an art form and the professionals who offer top-level kitchen renovation are specialists who can take your dream and chisel it into reality as a sculptor chisels a fine piece of marble. When considering home renovations for your kitchen or bathroom, the top tradesman and tradeswomen at Avonlea Kitchen & Bathroom Concepts will be able to discuss every detail you asked for and more likely than not, offer many ideas that you may not have considered or even known about. Home renovations are serious decisions to make and choosing the best professionals with years of experience and raw talent to complete them is the wisest course of action. Avonlea Kitchen & Bathroom Concepts has both. Home renovations; and kitchen renovation, in particular, are a part of every homeowner’s experience and whether your home is modern and new, or a beautiful older home makes no difference. In fact, the older homes in the greater Toronto area present unique challenges, but the level of skilled professionals employed at Avonlea Kitchen & Bathroom Concepts are second to none, and older homes and heritage homes are their specialty. Any home is a canvas to such talent and there is nothing beyond the abilities of these artists of the trades when it comes to a kitchen upgrade in your home. The possibilities of a kitchen upgrade are limited only by the imagination. Working with people well versed in the advancements of everything kitchen-related offers every client that little extra element, which makes every kitchen upgrade the best it can possibly be. Nothing is overlooked and the end result will last a lifetime. A man’s home is his castle and keeping it looking great is what life is all about. 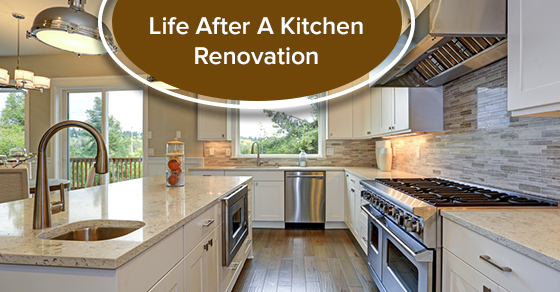 Cutting corners when it comes to Kitchen renovation or a simple kitchen upgrade is unwise. Whatever is necessary or even desired is a lasting purchase which will easily pay for itself over the life of your home. To learn more, call Avonlea Kitchen & Bathroom Concepts Renovations today at (416) 907-4764 or contact us here.